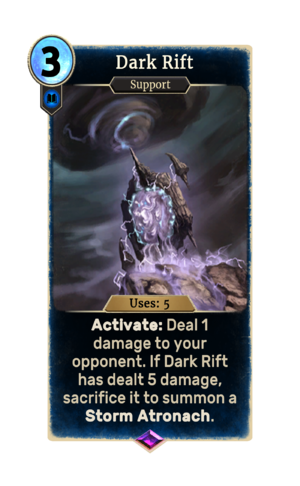 Dark Rift is an epic Intelligence support card. It is part of the Core Set. The card originally had a cost of 2 prior to the open beta period as seen in prerelease materials.